Wish your friends and family a merry little Christmas with this Merry Christmas card design. It will feature a family photo set within a blue and green background and can be printed at home by yourself or you can take it to a photo lab to print as many copies as you wish. Planning to send your yearly family photo card to your friends and family these holidays. Our printable photo cards make it ease for you. We will create a 4×6 or 5×7 with your photo inserted into the design so that you can easily get them printed at your local photo lab. Any of the colours can be changed as requested, just add a note of your request in the Extra Information / Design Requests section of the order form. 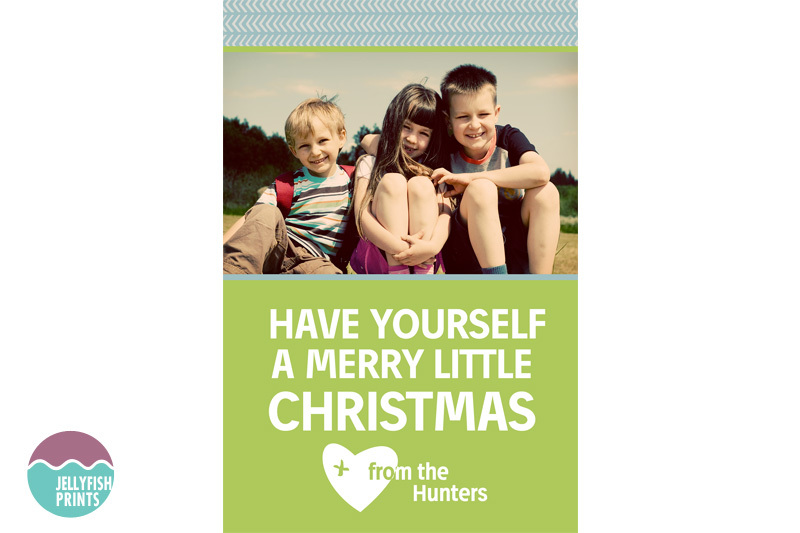 Your printable Merry Christmas card will be personalised with your information and photograph if applicable.